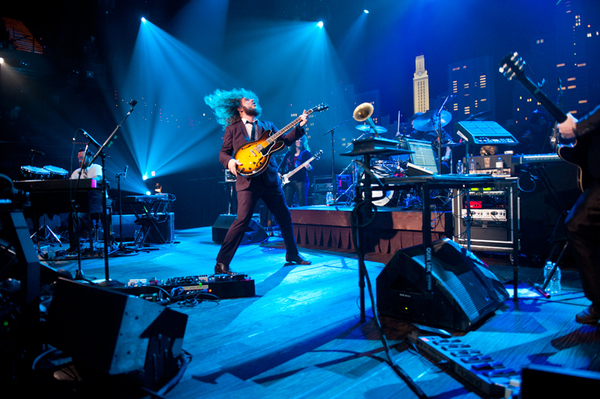 Austin City Limits explores new sonic directions in a double bill with Jim James and Austin's own Black Angels. The episode premieres this Saturday, November 16th on PBS. Jim will play songs from his acclaimed debut solo album Regions of Light and Sound of God which combines hints of of old-school R&B, flickers of hip hop, operatic pop and delicate instrumentation. Check local listings for broadcast schedule.